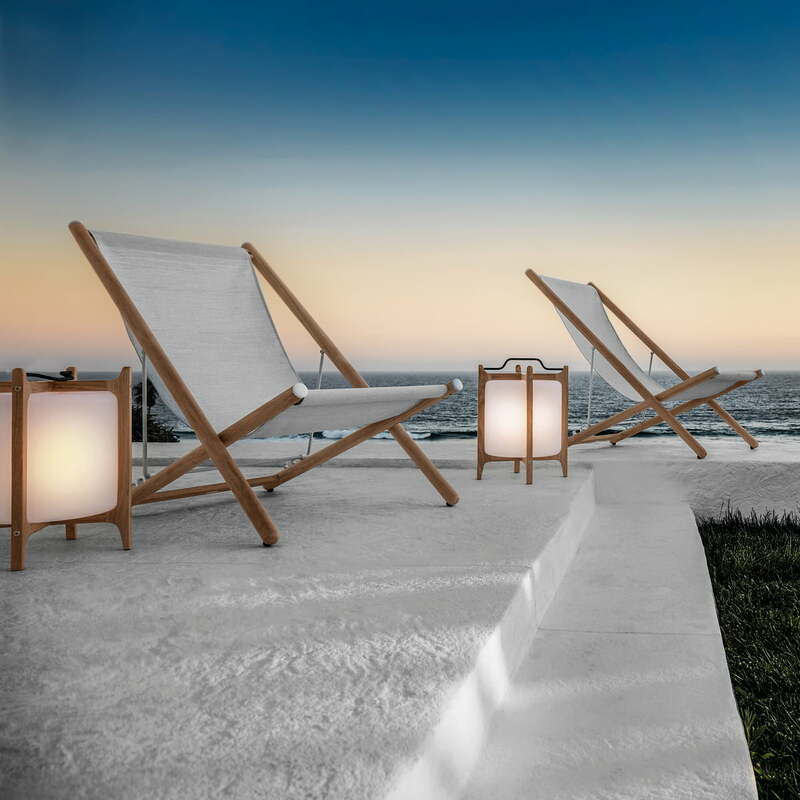 Thanks to the battery-powered LED lamp by Gloster, the Ambient lantern creates a warm, cosy atmosphere in every environment. On a garden table or placed freely in the garden, the cylindrical lamp body made of polypropylene emits soft light that can be adjusted to 3 different settings thanks to the remote control. Therefore the light can be adapted to any mood. A frame made of teak wood provides a warm touch and natural accents thanks to the clearly visible grain. 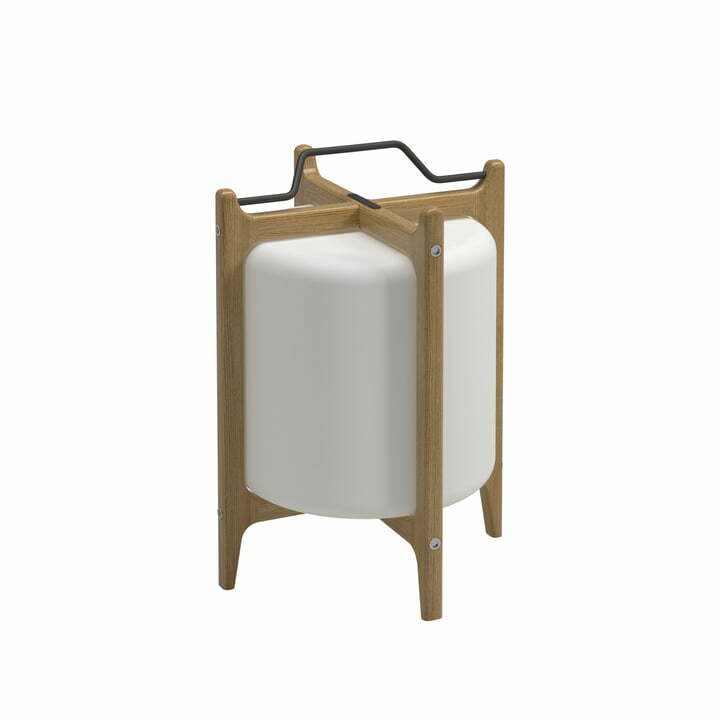 In addition, there is a practical handle made of steel, so that the lantern can be flexibly transported and easily carried to the desired location. The battery-powered Ambient LED lantern designed by Henrik Pedersen can be recharged via a cable and emits light for 5 to 6 hours on average. So there is nothing to get in the way of an atmospheric barbecue evening or a thrilling garden party. 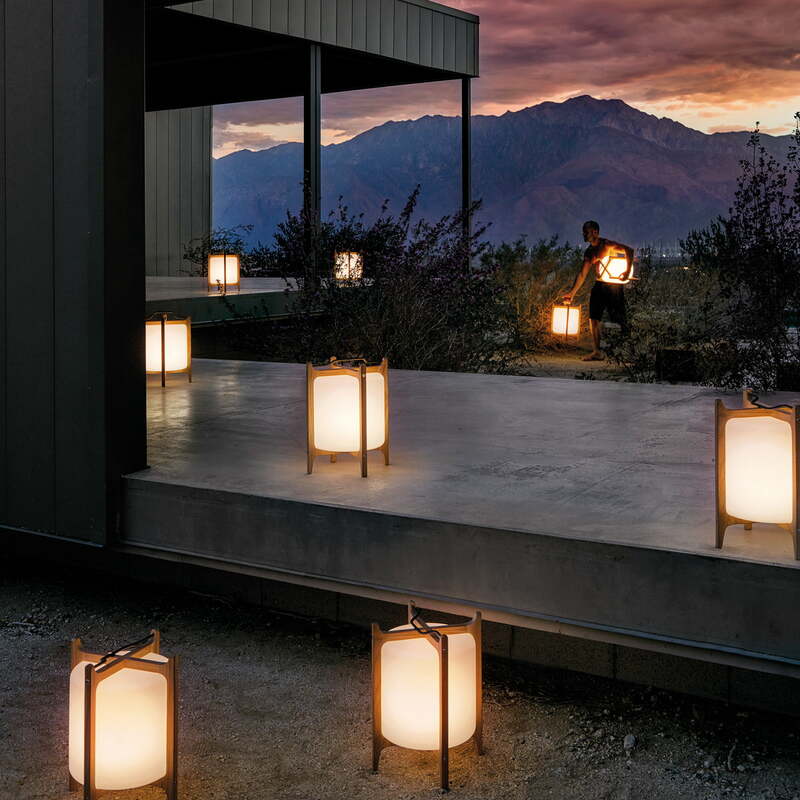 The Gloster - battery-powered ambient LED lantern. Thanks to the battery-powered LED lamp by Gloster, the Ambient lantern creates a warm, cosy atmosphere in every environment. The Gloster - battery-powered ambient LED lantern. On a garden table or placed freely in the garden, the cylindrical lamp body made of polypropylene emits soft light that can be adjusted to 3 different settings thanks to the remote control. Therefore the light can be adapted to any mood.